By the way, I didn’t invent this dish. This is a classic you’ll find in many Chinese restaurants and one that most Chinese families make at home. If you’ve had it, you’re probably surprised by how easy it is to make. 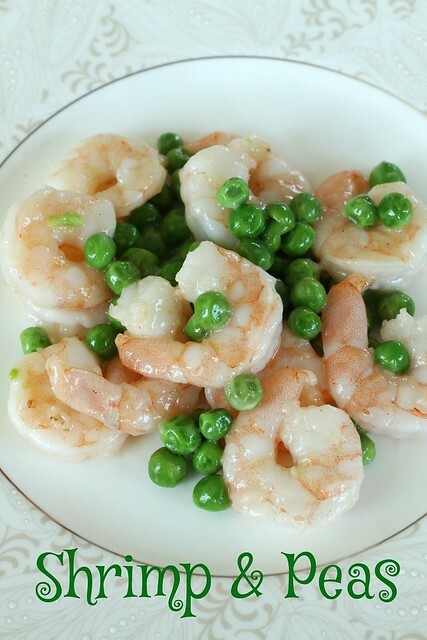 Most of the time, this dish is made with frozen peas because fresh peas are only available during a very short season each year. Feel free to use them when you do find them. I absolutely adore fresh peas. You will probably have to blanche them first. Another nice substitute /alternative is edamame. 1. Rinse the peas with cold water. Drain. Set aside. 2. 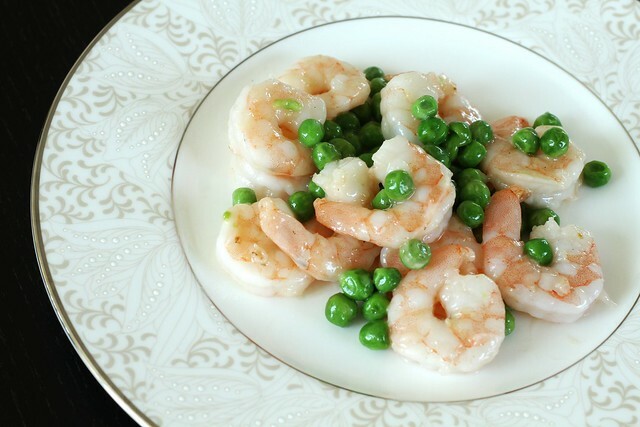 In a small bowl, stir together shrimp and cornstarch, coating the shrimp. Set aside. 3. Heat the wok on high heat. Add the oil and swirl it around the wok. As soon as it smokes, add the shrimp and stir-fry until both sides of the shrimp turn pink. 4. Add the peas and a pinch of salt. Stir-fry until the shrimp don’t have any grey (turns white on inside), no more than a minute. Serve immediately. posted by jessica	at 10:32 PM	Filed under Chinese, Recipes. You can follow any responses to this entry through the RSS 2.0 feed. Both comments and pings are currently closed. Yum! Looks so good. I didn’t realize it was so easy to make!